Why do gamers like first-person military shooters so much? Maybe because they're awesome? Declassified is pretty much what I want in a portable version of Black Ops. The missions are short and to-the-point, with fewer cut-scenes and less computer-controlled bull-[expletive]. Declassified puts you in precarious situations in locations that span the globe. You'll infiltrate facilities, rescue hostages, and halt missile launches. You'll travel to Vietnam, Afghanistan, Germany, and Russia. There are plenty of snow scenes, which is always a plus. It's fun to weed out enemies one by one, and the auto-targeting system lets you pick off several in rapid succession. The graphics are comparable to the console version, and I don't mind using the edge of the touch screen to access grenades and other special weapons (less buttons to remember). 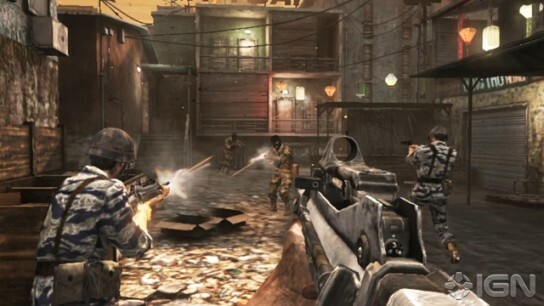 The commercial for this game highlights its on-line mulitplayer mode, but Declassified packs enough single-player challenges to keep you busy. The campaign only has about 15 missions, but you also get time trials and a "hostiles" mode. Hostiles is like playing on-line, except you fight against wave after wave of CPU-controlled players. High scores and best times are recorded for all modes. If there's one thing I dislike about Declassified, it's the uneven mission difficulty. That second mission is absolute murder! You need to save groups of analysts being held hostage, and it's really tough to prevent them from getting shot. It must have taken me 100 tries to get past that one. The key is to use a flash-bang to buy yourself extra time. In the end, Black Ops: Declassified is not the epic experience of the console game, but it doesn't try to be. It's simple yet satisfying shooting action on-the-go. © Copyright 2013 The Video Game Critic. The first time I tried this side-scrolling import I hated it. Arcade is the default mode, which seems reasonable enough. Unfortunately the set-up screens are painfully Japanese and the game seems to have a real attitude about my Vita being offline. Once the shooting action began I couldn't tell what the [expletive] was going on. The Vita screen is wide enough as it is, but Dariusburst adds black space to the top and bottom, limiting the playfield to a narrow strip running across the center! Everything is so tiny! Your ship is the size of a flea and it's impossible to read your score. I nearly wrote off Dariusburst right there, but then I tried the CS mode, which is apparently one of those "score attack" modes. You select between several stage "routes" and high scores are saved (provided you complete the mission). Unlike the arcade mode, this one is actually playable. The objects look sharp, your score is clearly visible, and the gameplay is not terrible. It feels rather dull at first as you unleash rapid-fire shots while scooping up red, green, or blue pods. Then things get interesting as you find yourself swarmed by literally hundreds of small enemies moving in looping formations. It's not as overwhelming as it sounds, and it's fun to concentrate your firepower into the mass of swirling objects. You also have a high-powered special weapon and the ability to fire backwards. The bosses are where the game falters. The fish-inspired behemoths aren't especially interesting and don't have a life bar. Instead of deteriorating they pretty much retain their shape until beams of light finally pour through their bodies, signalling their peaceful demise. Lame! An overwrought orchestrated musical score features female vocals that reach operatic levels, but it doesn't match the pedestrian gameplay. 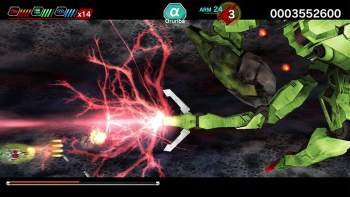 Dariusburst lacks punch, but if you're a looking for a side-scrolling shooter for your Vita, this will qualify. © Copyright 2017 The Video Game Critic. It's hardly what I was expecting, but I'm pleased with Gravity Rush. This futuristic adventure stars a magical babe in a floating world that's coming apart at the seams. With a black cat as your sidekick, you can manipulate gravity (as it pertains to you) in order to navigate your surroundings. You can temporarily walk on walls and ceilings, or free-fall through the air sideways or upwards. Once you grasp the concept, it's fun to "fall" across town and land on the side of a building, or vault between huge floating chunks of debris. Is it disorienting? Hell yes, but it's also exhilarating to alter your center of gravity at the press of a button. The fact that you don't sustain damage from falling any distance is part of what makes the game fun. You might fall to the ground in a heap but you'll be no worse for wear. As you try to uncover your identity you'll talk to characters around town, battle monsters, and become embroiled in a storyline involving a shape-changing villain. The stylish graphics are anime-style, but there's really not much to see. The controls are a bit touchy (especially when aiming with the right thumbstick) but forgiving - especially during combat. Most of your enemies are black blobs with big red eyes. Guess where their weak spot is! The game moves at a brisk pace and there are frequent auto-saves. A few of the fetch and stealth missions tested my patience, but since they were short, I wasn't deterred. The cut-scenes are presented in comic-book style cels you page through by swiping the touch screen. It's fun to watch the story unfold in these colorful, semi-animated scenes. 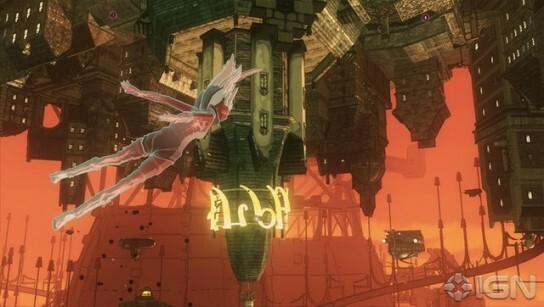 The makers of Gravity Rush clearly knew what they were doing. This is a very thoughtful and original title that really works. I don't think I've even played anything like this before and that's saying something. © Copyright 2013 The Video Game Critic. The Tiger Woods golf games have their ups and downs (mainly down), but Hot Shots is always a good time. And this Vita edition might just be the best single-player version of the game. The Hot Shots franchise has always employed a three-press swing mechanism that relies on precision timing. High definition televisions can introduce a slight control lag, but on the Vita the controls are as tight as they can possibly be. The courses look gorgeous (as usual) with their rolling green hills, tranquil lakes, and quaint farms. You'll spot occasional wildlife including rabbits, cows, chickens, and bears (what?!). The golfers are likeable anime characters that react to shots with unbridled enthusiasm. World Invitation offers some alternate variations of the three-press swing - like a circle that shrinks to the point of impact - but it's always the same idea. Aiming and gauging the power of your shot is important, but that's just the tip of the iceberg. You need to take into account the wind, the ball lie, the pin placement, and what kind of spin you should apply. Weather is also a factor, and it tends to change abruptly. 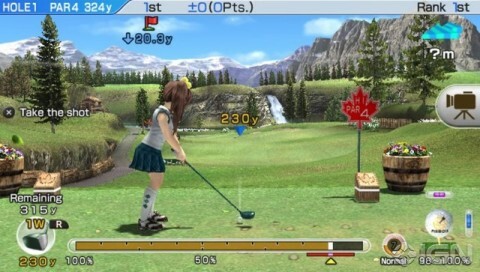 One hole will be played during a downpour, while the next is played under a clear sky. I personally would have preferred more gradual changes in conditions. Still, I like how the courses represent the various seasons. In the Strokes mode you not only earn a score but also rack up points for special shots. I like how during approach shots concentric circles appear around the hole to indicate bonus values. The enjoyable Challenge mode is a series of short contests (typically nine holes) of increasing difficulty. Points are used to unlock new characters, courses, and miscellaneous items like outfits. The action moves at a brisk pace and your progress is auto-saved. You can play 18 holes in just a few minutes! Frankly, I could play this game all day. Quick, fun, and addictive, Hot Shots World Invitational is everything a portable game should be. © Copyright 2013 The Video Game Critic. 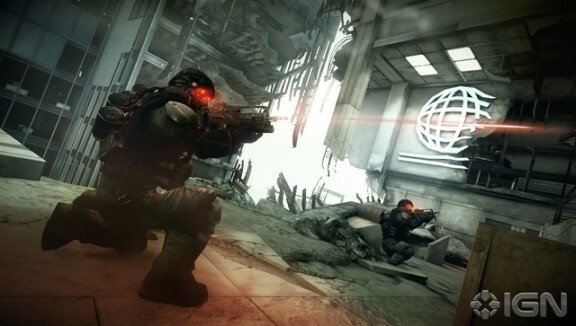 If you're looking for a full-blown FPS (first-person shooter) for your Vita, look no further than Killzone Mercenary. It has the look and feel of a big budget title that doesn't cut corners. Your adrenaline will kick in during the opening mission where you infiltrate a skyscraper in a flying squirrel suit. The degree of graphic detail in Mercenary is pretty remarkable. The sprawling citiscapes make you feel part of a larger conflict, and the mission briefings are pure sensory overload. The stages themselves are a lot less interesting as you trudge through crumbling buildings and industrial facilities with a lot of elevators. The character models look terrific and professional voice acting reinforces the notion of a no-nonsense military operation. The controls are well designed, and I like how you actually need to aim to kill targets (unlike most modern shooters which rely heavily on auto-aim). It is annoying however that you have to reload on a constant basis. I wish the thumbsticks on the system were a little higher, as their low positioning can cramp large hands. The touch controls are basically limited to melee, and they provide an efficient way to administer a dagger to the throat. The missions usually have multiple objectives such as rescuing people or blowing up some ship. Some stages are coop, which is nice because you can count on somebody to bail you out of tight spots. The ability to acquire new arms from a dealer adds depth, and it's fun to use the remote stealth robot to "thin out" enemies ahead. The missions are easy to follow with frequent checkpoints, but they can take up to an hour to complete. That's a serious problem for a portable title, especially when there's no ability to save during a mission! I felt a definite sense of relief when my mission was complete and I saw that saving icon. Killzone Mercenary is yet another example of Sony not "getting" the portable market. It's a quality shooter but its time demands are hardly ideal for on-the-go gaming. © Copyright 2014 The Video Game Critic. Oh, how I despise this game! Little Deviants is a tech demo masquerading as a legitimate title. 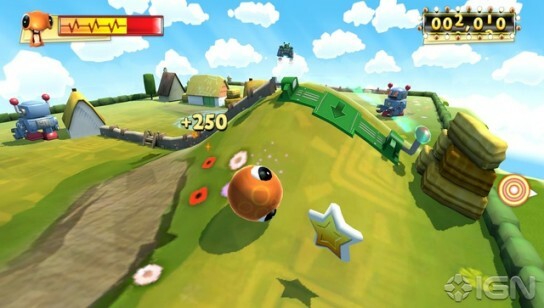 It features a wacky assortment of cartoon characters who assume roles in mini-games meant to be played for high score. These games really bend over backwards to leverage the touch screens (front and back), camera, and oscilloscope of the Vita system. In the first game you guide a rolly-polly character around a meadow by using the rear touch pad to create bumps and ridges in the landscape. It sounds like a lot of fun, but it's remarkably non-intuitive and aggravating. Other games challenge you to knock down robots that appear in doorways (by tapping the screen) or skydive through rings (by tilting the system). "Bots Invasion" is a first-person shooter that uses the camera to make it look like your targets are flying around the room you are in. On the surface, these concepts sound promising. In reality, they feel like repetitive chores. And the situation is even worse than that. The games are downright annoying, so you'll want them to end as soon as possible. No chance of that, as each requires you to persevere through ten grueling, time-consuming waves. You really can't put a pricetag on this kind of misery. I would say Little Deviants should have been shipped with the system, but that may have triggered a deluge of returns. I guess it's best that this ill-conceived title remains as obscure as possible. © Copyright 2014 The Video Game Critic.